For those of you wanting to find the brick when you visit the resort, here is the information that you need to find it. 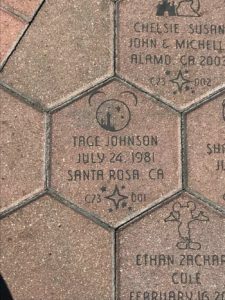 Tage’s Brick is located in the C73 section and is the 001 brick. 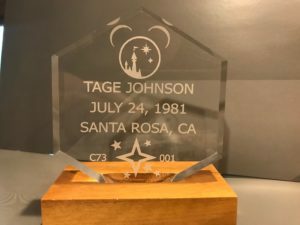 It is located just to the right of the compass rose between the compass and the main gates to Disney California Adventure. 001 isn’t at the top of the area, it is actually on the left side of the section in the corner. 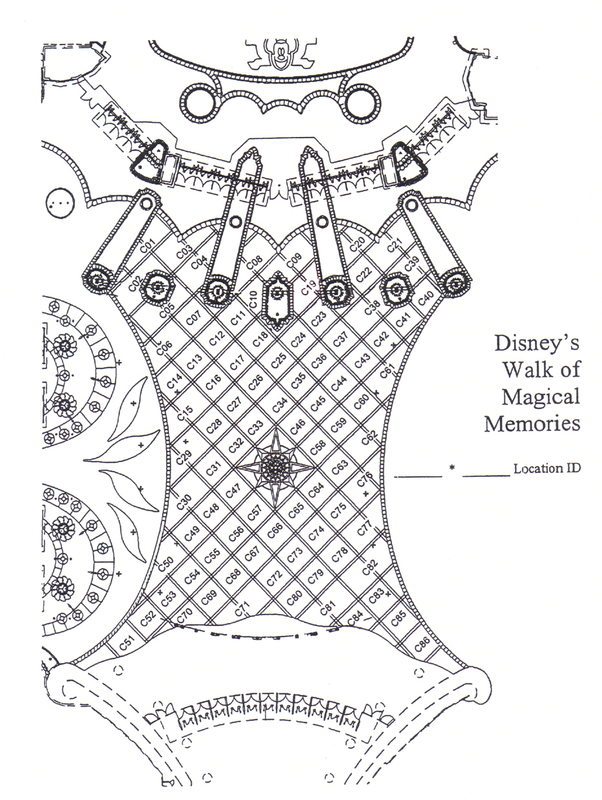 All of these directions are from the perspective of looking at the front gates of Disneyland from the main gates of California Adventure.